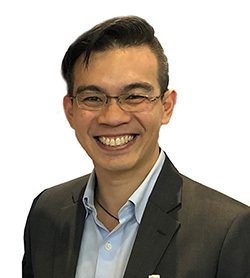 The AIP would like to welcome our latest Member Darell John Chung MAIP, Senior Executive Marketing, Mitsui Chemicals Asia Pacific. Q: WHY DID YOU JOIN THE AIP? WHAT BENEFITS DO YOU BELIEVE THE AIP OFFERS ALL THEIR MEMBERS? I joined the AIP because I would like to attain the Certified Packaging Professional designation and also to improve my professional development. Q: HOW LONG HAVE YOU BEEN IN THE INDUSTRY? WHAT ARE YOUR AREAS OF EXPERTISE? I have been in the industry for 10 years now; excluding my education in polymer technology. I have expertise in areas around barrier packaging for food applications and areas such as Tie resins, barrier resins, barrier coatings, as well as to a lesser degree, resins for sealant films. Applications I have worked on include snack foods, cup fruit, meat among others Countries I have been responsible with in my experience include ASEAN, ANZ and South Asia (excluding India) and Africa. Q: WHAT IS YOUR CURRENT JOB ROLE AND WHAT ARE YOUR RESPONSIBILITIES? I am currently responsible for regional brand owner contact and discussions to introduce as well as understand the requirements for the development of new packaging material & technologies. I also look after the development of new business with new co-extrusion blown film line owners as well as working with other resin manufacturers and machine owners to ensure the satisfaction of our customers.